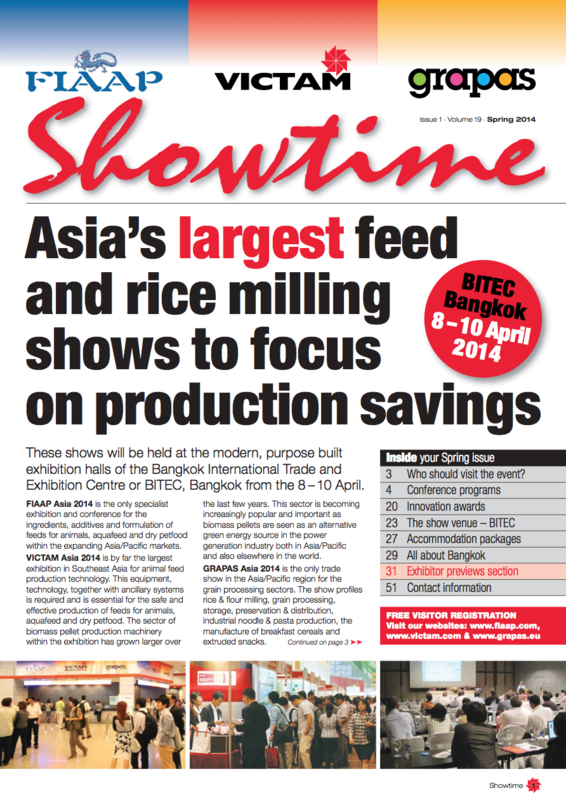 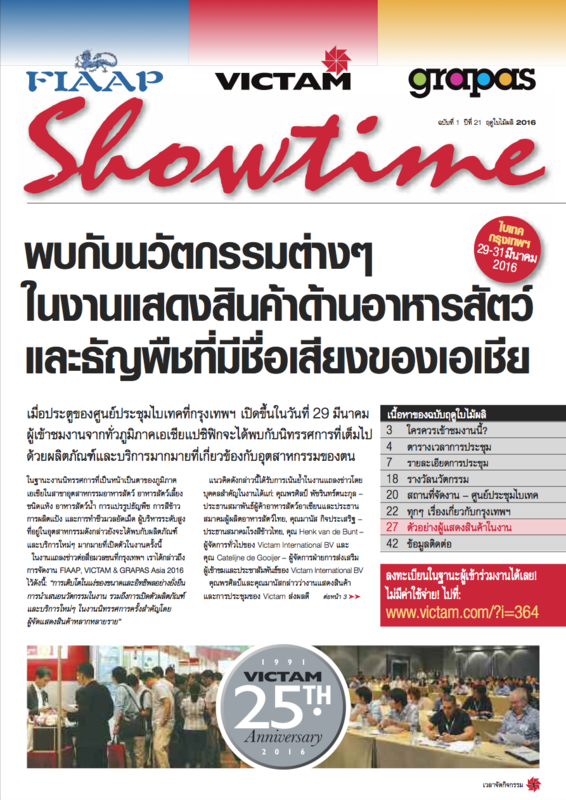 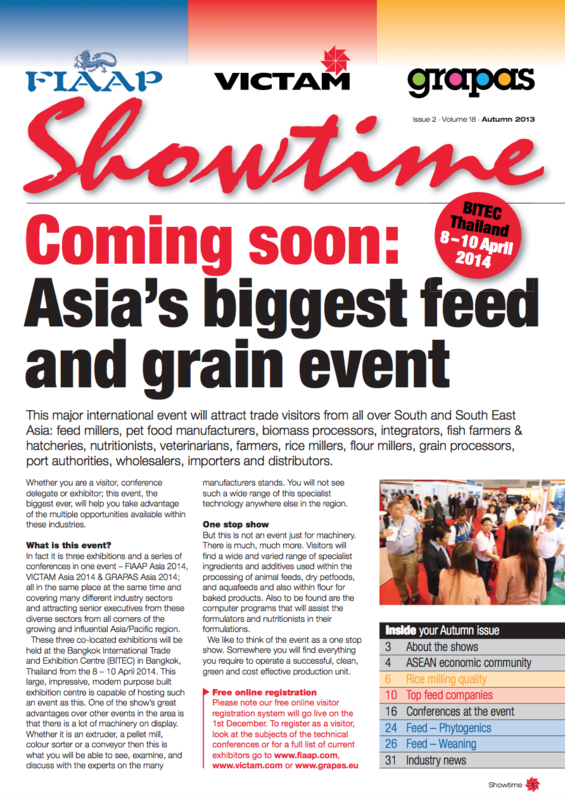 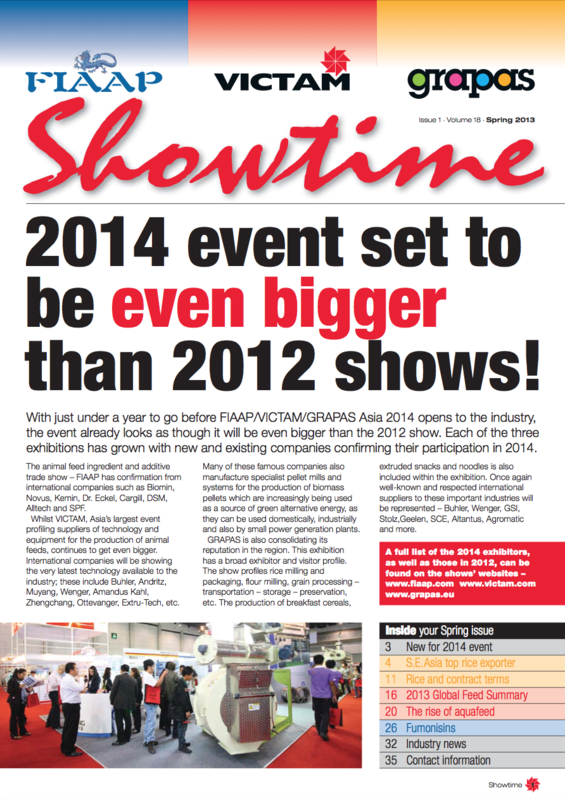 Showtime is our free bi-annual magazine with articles on international developments in the animal feed and related industries and an up-to-date agenda of our activities. 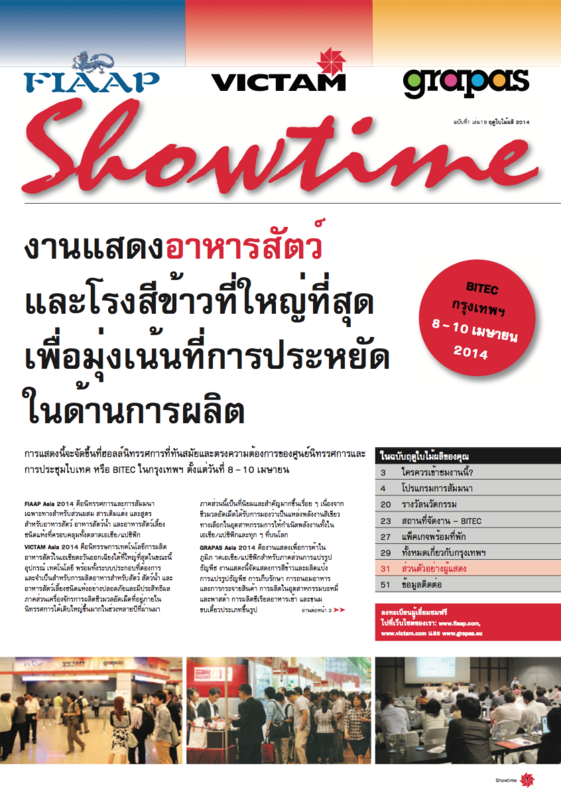 Please scroll down to see our current issue. 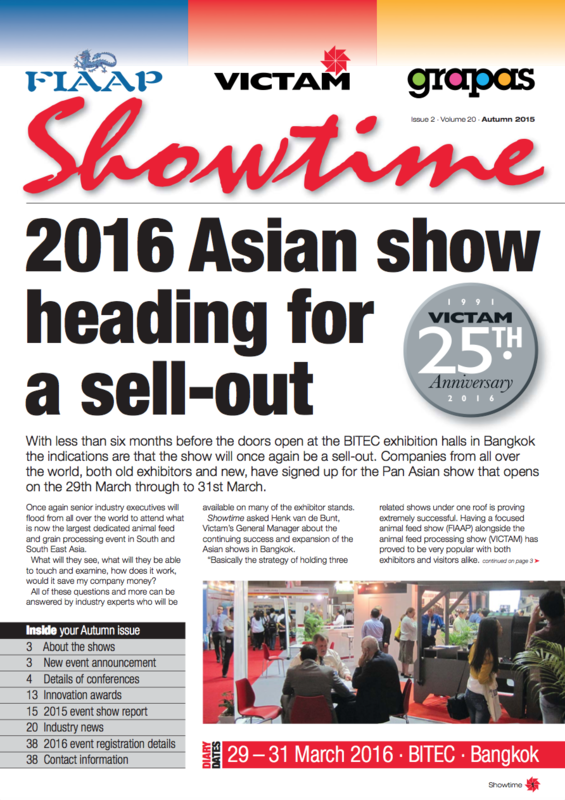 If you would like to subscribe to or advertise in the next edition of Showtime, please fill out the forms on the right hand side. 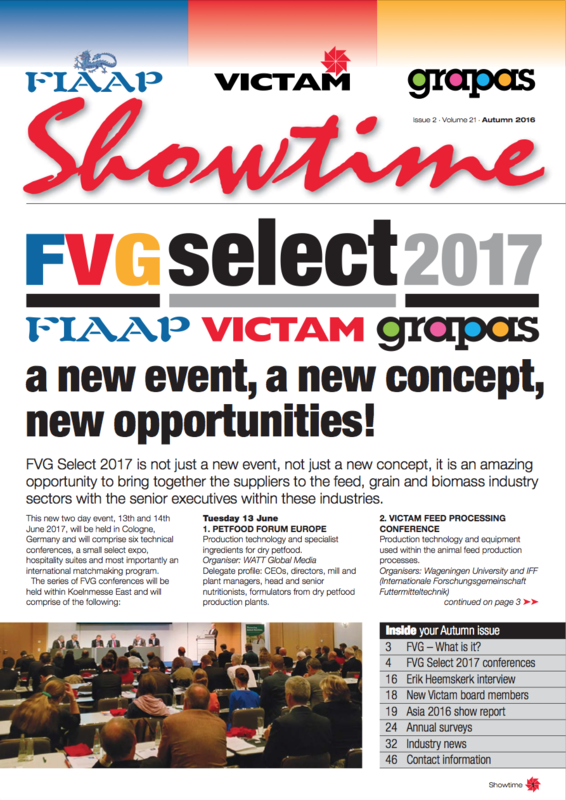 If you like to read a previous edition, please download the edition of your choice below. 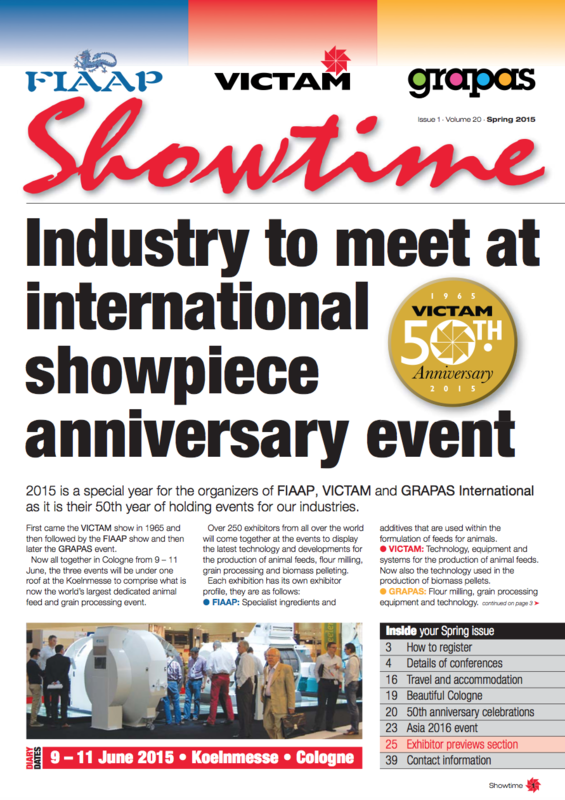 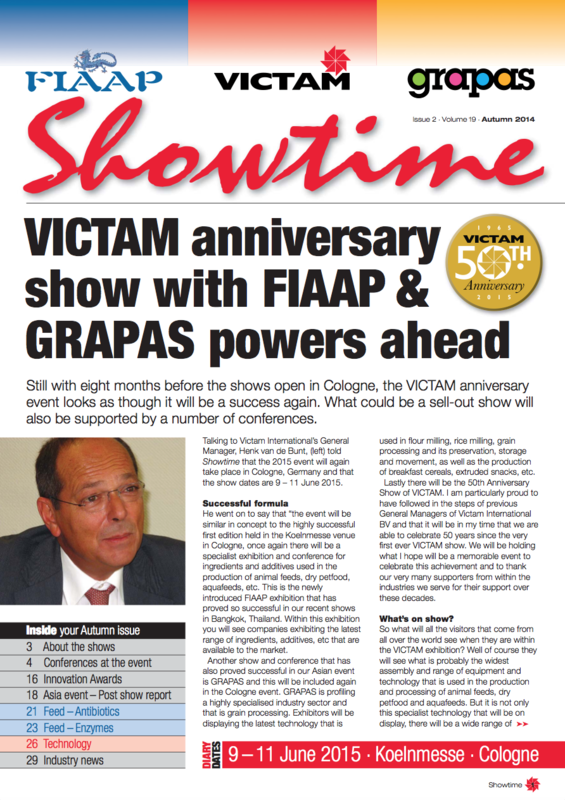 You can order a paper copy by emailing us at operations@victam.com. 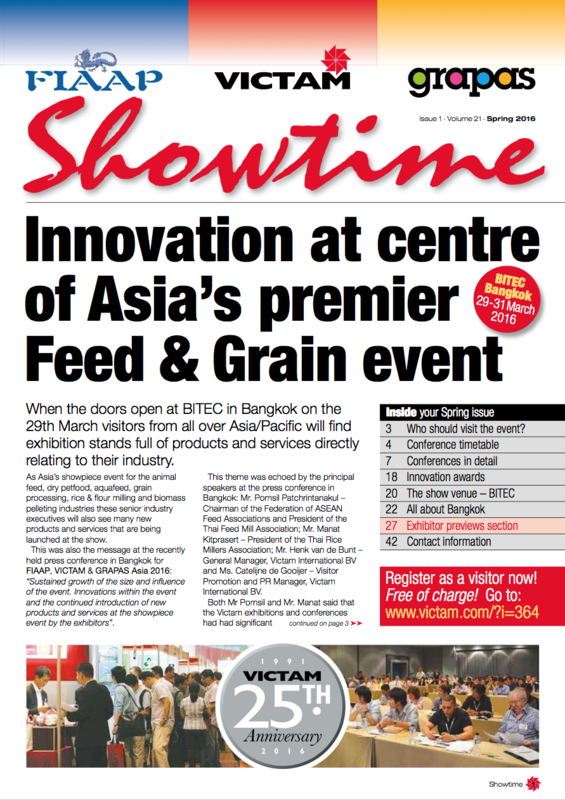 If you would like to stay up to date on our events, please sign up for our newsletter.